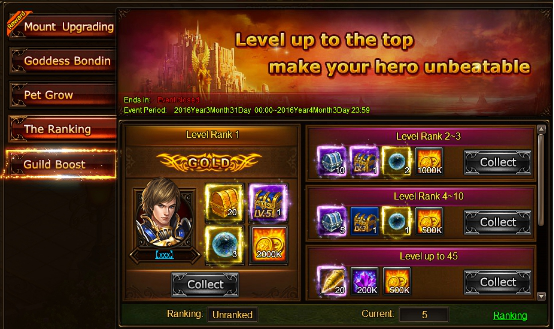 The Thundercall Carnival is here for just 7 days! See what amazing stuffs await you! Summary: Is there any feeling more grand, more noble, than to stride across the land atop a four-legged friend? Through the mount system, you acquire a powerful beast to move through the world at greater speed. 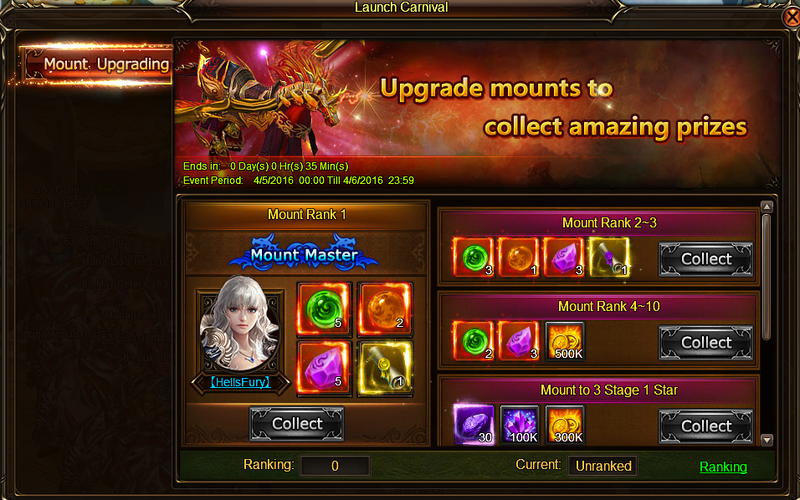 Mounts boost character stats and can strengthen your character to triumph! 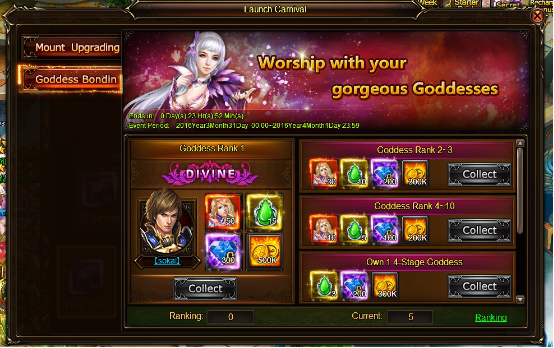 Summary: Many beautiful goddess in Thundercall will make everyone beckoning. Here, "Goddess, fight for me!" is more than a slogan. 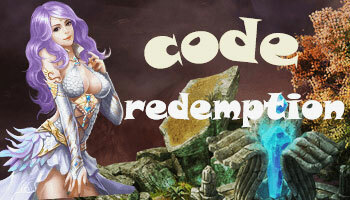 Goddess will be owned players veritably. You can touch the stunning beauty!! Summary: Your pet in thundercall play a very important role. 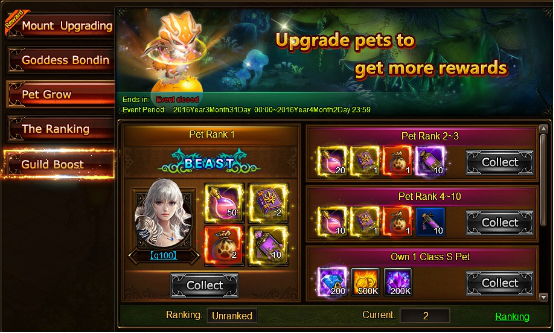 Different pets have different properties, and some can help you get experience bonus; some may pick up additional magic crystal; some may increase mana. Double-click or dragging the pets, elves will be configured into the Magic circle, each pet will be transferred property in proportion to the characters which makes stronger! Summary: Yep! You are the most powerful hero! Go and beat any enemy who opposes you! 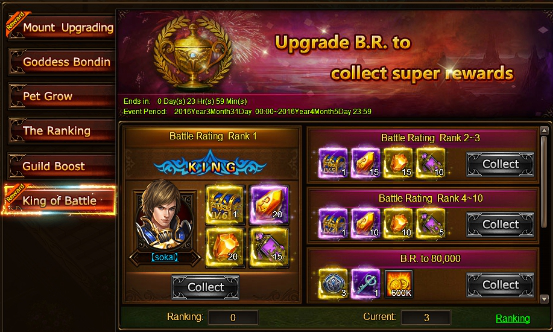 Summary: Friendship, loyalty, responsibility and hegemony, are what we are looking for and the reasons of building our family--Guild in Thundercall. 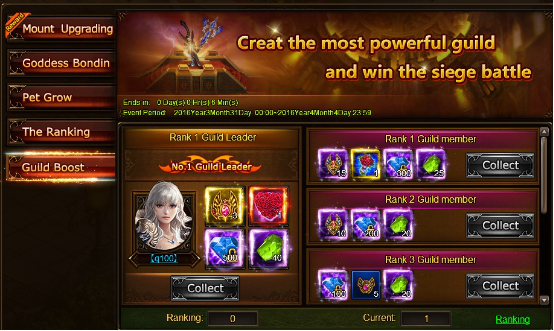 Build your Guild with your friends and to be The one!
" Long live the king!" Summary: These stunning additions to Thundercall will not only give a player’s character a new look, but also offer a boost in character stats as well. 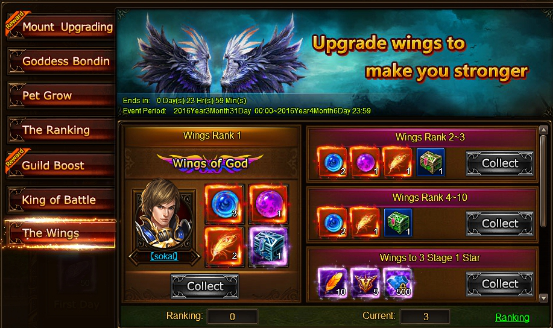 Each set of wings gives the player the same amount in terms of battle stat improvements, so to pick the one which you like most!